The remodeling industry is a sleeping giant. With over 10 trillion dollars worth of housing in the US, the home remodeling industry now does over 180 billion dollars of work each year, servicing over 80 million homes. Projects range from $25 repairs to $2,000,000 additions. Homeowners don’t know how to find qualified trade contractors for small “handyman-type” projects. For homeowners, it is a challenging and time-consuming task. Working through remodeling companies with whom they have an established relationship, homeowners will have access to a proven list of experienced subcontractors and vendors, allowing a full range of home-related services with trade contractors who have a proven track record. The term “handyman” doesn’t adequately describe this emerging market segment. In addition to handyman projects, there is home maintenance, as well as a small project-remodeling segment that may range up to $5-10K and include some or all segments of traditional remodeling. Remodeling and home improvement has become a 180 billion dollar a year industry. The demand for all level of services will continue to grow as the nation’s housing stock continues to age. Remodelers can recession-proof their business by becoming a “single source” provider of all home- related services a homeowner may require. 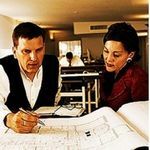 By developing a “customer for life” relationship with past clients, remodelers create a recurring revenue business regardless of economic conditions. Consumers would welcome a business model that would both manage and deliver a full range of home improvement services in a predictable and professional manner.